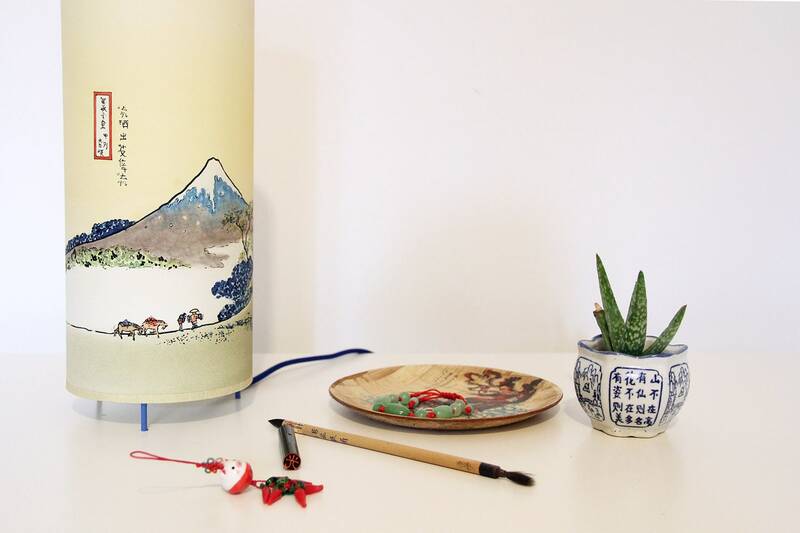 Dare to give a touch of color to your life with this japanese lamp shade. It will give an asiatic touch of elegance with this feast of different shades and colors. 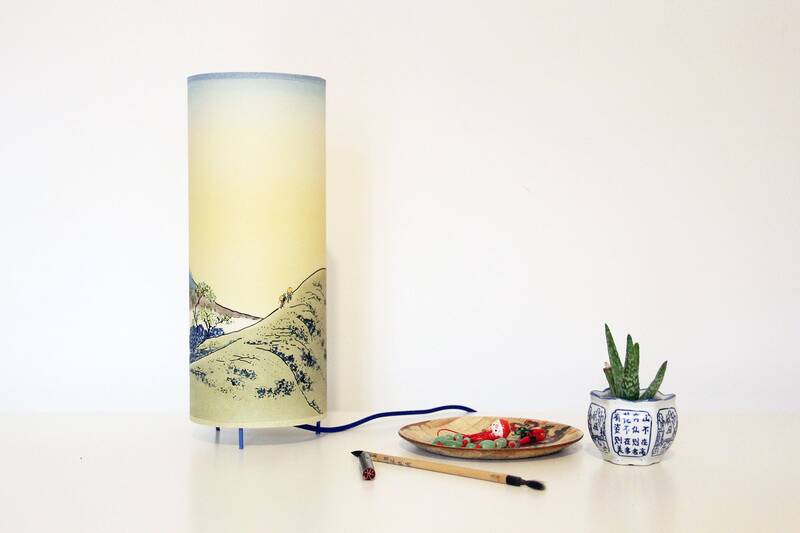 This table lamp is one of the pieces of our exclusive nipone collection. 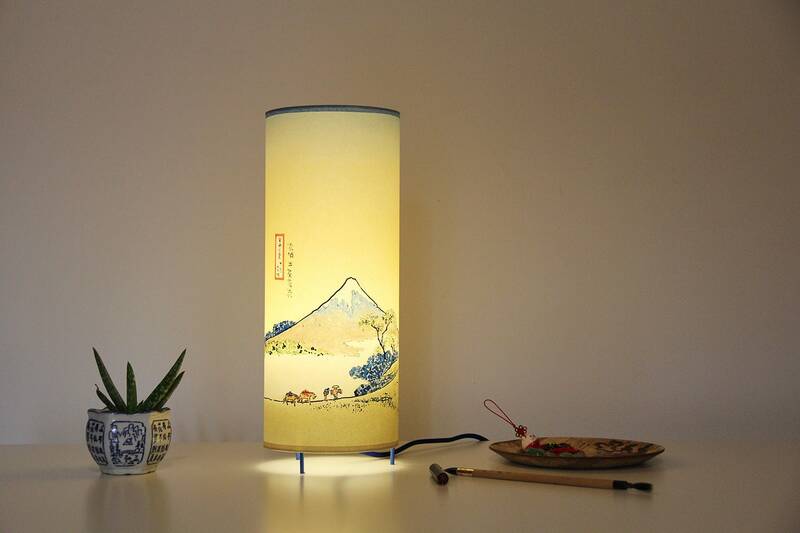 It is totally handmade. 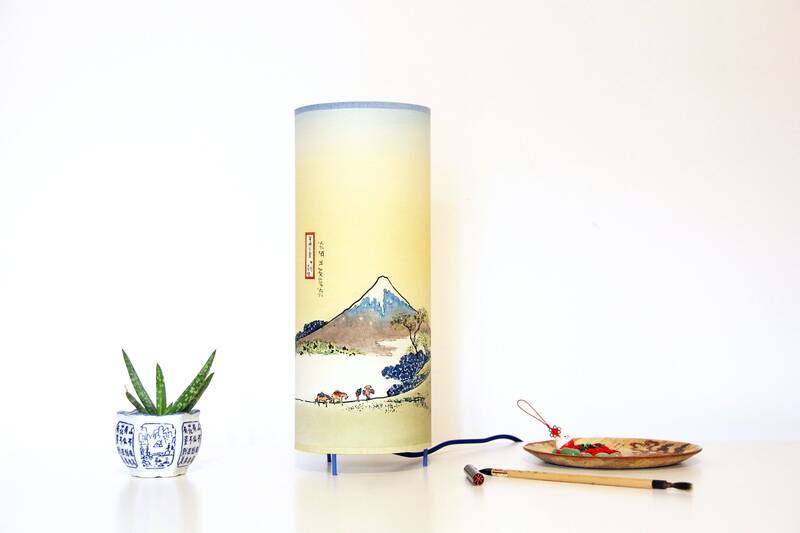 We have drawn it inspired in the old engravings of the Edo Period in Japan. 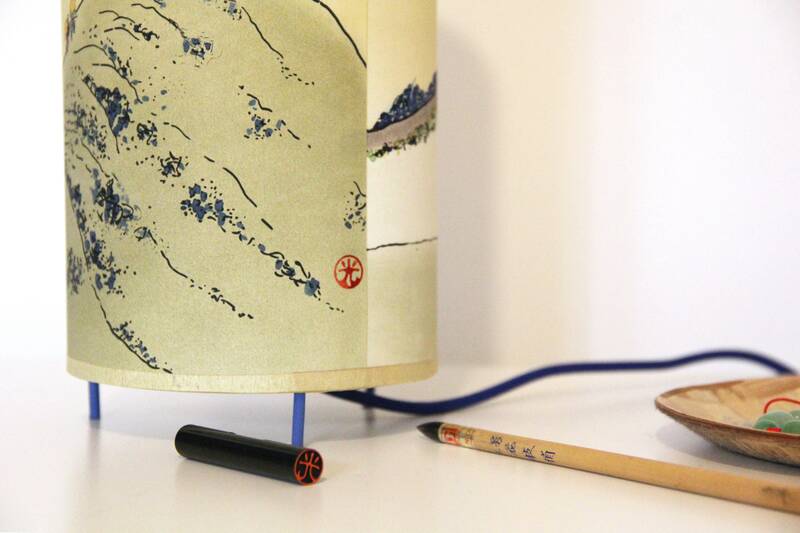 In this one we pay tribute to Katsushika Hokusai. We've used different technichs: Basicly watercolours: aquarels to let the light come across and acrylics for black lines. 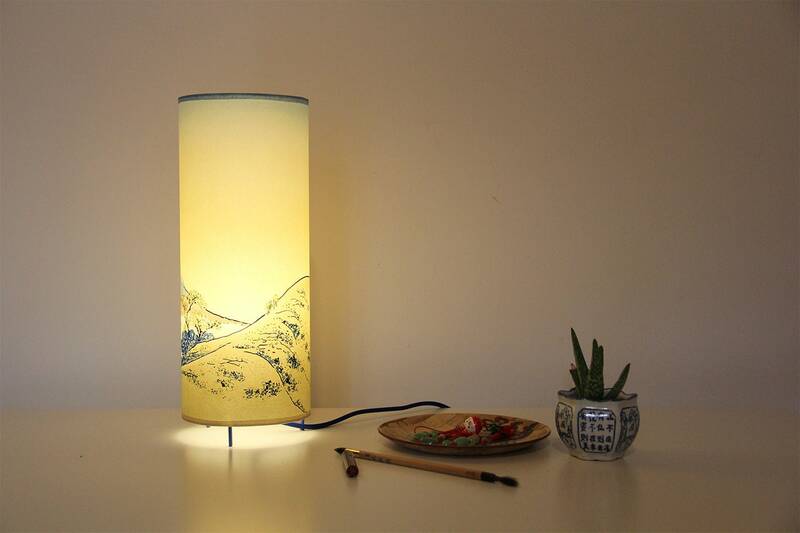 The lampshade gives a special warm light that will look great on a reading corner, on a table, next to an armchair, in the bedroom, on a bar giving warmness and anywhere you can imagin! !